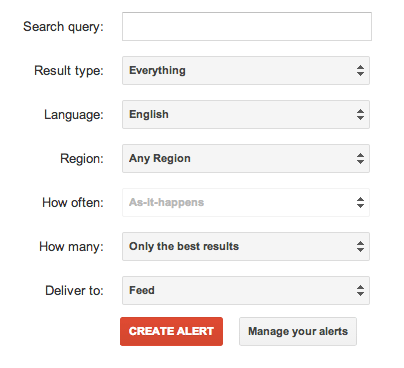 As Alex covered, Google Alerts has added a new way to filter down the alerts you get from Google. Some alerts can be overwhelming, so Google added a way to filter by region and language. So now at google.com/alerts you can specify for what keyword phrase you want alerts for, plus say if you want them in a specific language or from a specific region. You cannot combine multiple regions, like have both Italy and Spain, but you can mix a region with a language.